PDS will be an Exhibitor at the New Mexico Municipal League’s Annual Conference taking place at the Lea County Center in Hobbs, New Mexico. 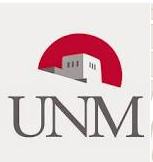 Professional Document Systems will have a booth at the UNM Small Business Fair being held at UNM in Albuquerque. PDS holds two New Mexico Cooperative Educational Services Contracts, one for IT products and services and one for document imaging/conversion/scanning services along with a New Mexico Statewide Price agreement for ECM related services. Check back for more information as it becomes available. Professional Document Systems is happy to be exhibiting at the New Mexico NAHRO again in Ruidoso, NM This Year. PDS holds two New Mexico Cooperative Educational Services Contracts, one for IT products and services and one for document imaging/conversion/scanning services. Check back for more information as it becomes available.